The last few months have seen an increasing number of articles announcing the death of the smartwatch, but, judging by the number of new products seen at CES, it seems reports of the wearable’s death have been greatly exaggerated. 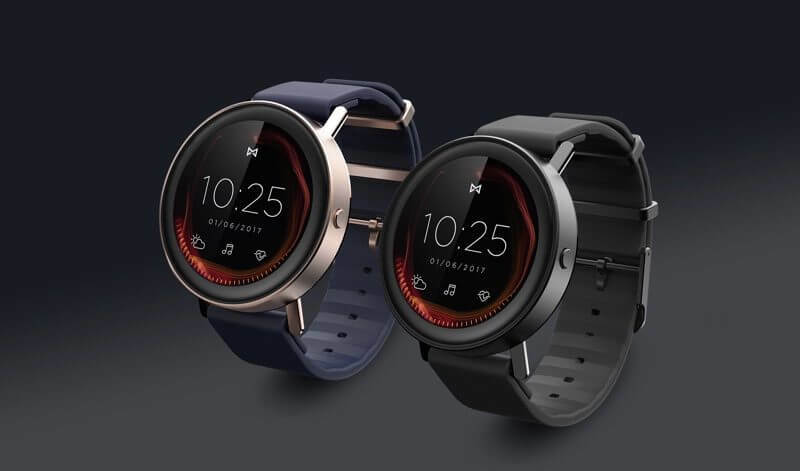 Yesterday, fitness tracker specialist Misfit showed off its first touchscreen smartwatch – the Vapor. Like Samsung’s Gear S3 classic, Misfit’s offering is satisfyingly chunky, featuring a bright 1.4-inch full AMOLED display that comes in at 326 ppi. The 44mm Vapor is powered by Qualcomm’s Snapdragon Wear 2100 processor that was unveiled last year. It comes with 4GB of onboard storage for music, which means you can sync it to your Bluetooth headphones and listen to tunes without a paired smartphone. The Vapor’s radial “touch bezel” lets users control the watch’s functions by dragging their finger around the edge of the display. It contains some of the high-end tech we’ve seen in other smartwatches, such as a built-in GPS, accelerometer, altimeter, and optical heart sensors. It’s also water resistant up to 50 meters. Battery life – often the biggest issue for smartwatches – is apparently better than average. Fossil-owned Misfit says the Vapor can last two days after being fully charged using the magnetic charging case. The company hasn’t revealed what software is being used, but it appears to have been developed specifically for the wearable. The Vapor comes with a range of interchangeable straps and is available in both black and gold. It will be available by the end of the year for $199, which is a lot cheaper than most top of the line smartwatches.